You may return most new, unopened items within 30 days of delivery for a full refund. We'll also pay the return shipping costs if the return is a result of our error (you received an incorrect or defective item, etc.). The purchaser is responsible for cost of the return shipping cost otherwise. Products that are marked as "Special Order" cannot be returned unless they are defective. All safe shipments will be shipped and delivered by a full length tractor trailer (53' length) and all delivery addresses must be accessible by a full length tractor trailer. All orders will be marked for "Curb Side Delivery with Liftgate" due to the inaccessibility of the garage and/ or cover ground floor area by the delivery agent also better termed "the driver". All drivers come equipped with only a pallet jack to assist in moving the safe. If the area leading to the garage or cover ground floor area is found to be unpaved, excessively long, too steep, or just inaccessible these are valid reasons that will prevent the delivery of a safe into a garage and/or covered ground floor area. Drivers will pull up as close to the curb as possible and under no circumstances will they pull into any driveways. The driver will at his own discretion either attempt to move the safe as far as he may go or deliver the safe to the curb. The "ONLY" valid reason for refusing a safe is if it shows any damage from the frieght company. You must have yourself or a representative to receive the safe on site. When the safe arrives, it is very important that you inspect the safe for any damage. Walk around the entire safe and even have them remove the wrappings if you feel that there may be damage beneath. CSH will not be responsible for any safe that has passed your inspection and that you have signed for. By signing, you assumed full responsibility of the safe and cleared it "free of damage". Customers whom refuse to take delivery of their order (other then damage related issues) will be accessed all shipping charges to and from the address of delivery plus a 15% restocking fee. These fees will be deducted from the original purchase price of the safe prior to refund being issued. Please read additional description of services and exclusions below. Free Curb Side Delivery with Liftgate includes the driver (1 person) unloading the gun safe from the truck as close to the curb of the destination address as possible. Please note that once the safe is unloaded off the truck the customer will be responsible for moving or making arrangements to have the safe moved inside the delivery address. Is is solely up to the driver if he/she can move the safe into the customers garage. We use only the top frieght companies and if they can move it into the garage, they usually will. IMPORTANT : If a driver is unable to access the delivery address with a full length tractor trailer due to narrow streets, tight turns, low hanging branches and/or power lines, weight restrictions, unpaved roads, or address being located on a dead end street, a customer may be required to meet the driver at a secondary location. Shorter trucks may be available in some areas please contact us so we can check availability. 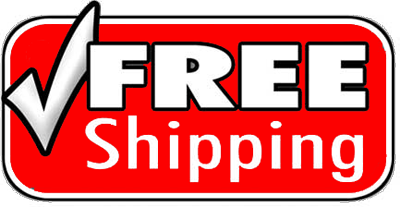 Free Shipping for "Curbside Delivery with Liftgate" is offered to most areas in Canada and the contiguous U.S. Some remote areas such as islands, areas accessible only by toll bridge or ferry service, union states,rural areas , etc. may be subjected to additional fees. If any additional freight charges are applicable, customers will be notified prior to shipping and will be given the option to cancel their order to avoid any additional freight charges. Please be sure to check all packages for any potential damage during transit. We recommend removing any protective wrapping to fully inspect the product(s) BEFOREsigning the Delivery Receipt. A notation of “Subject to Inspection” or “Possible Damage” on the delivery receipt is not acceptable. In the unlikely event that damage did occur during transit, any and all damage must be noted on the Bill of Receipt in detail and signed by the driver. A copy of the Bill of Receipt will need to be faxed, emailed or mailed to Always Affordable Locksmiths in order for a damage claim to be filed with the trucking company, on our customer’s behalf, in order for replacement product to be sent to the customer. When possible, please photograph the damaged product on the truck and off the truck for evidence that will assist with a product damage claim. * PLEASE NOTE: If damage is not specifically noted on the delivery receipt, the delivering freight line will not accept responsibility for the damage and we cannot provide replacements to you free of charge. Damages that occur in transit are unfortunate. Our policies are in place to expedite the process of sending replacements or repairing as quickly as possible. Please, do not hesitate to call if you have any questions regarding our policy on damaged product.